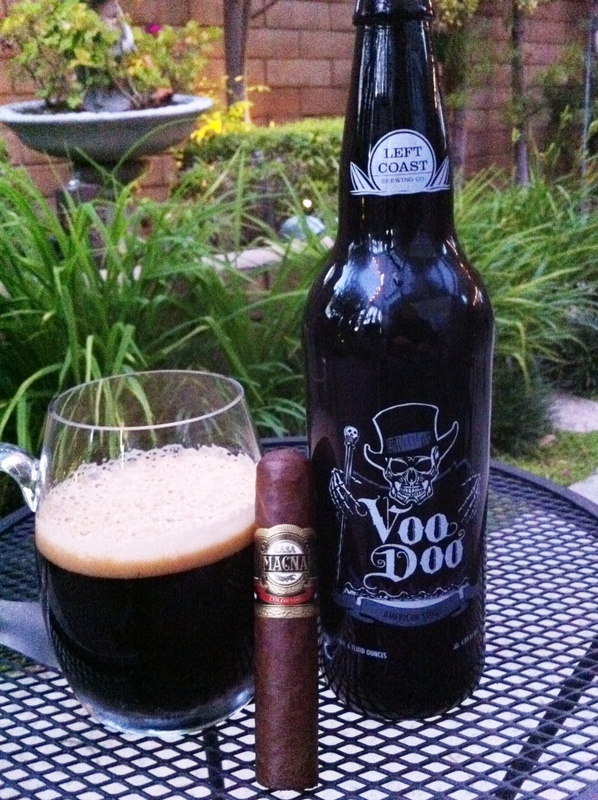 Those fine people at Cigars Direct were kind enough to send me a selection of cigars for tasting and review, so I selected a Casa Magna Colorado (Robusto), and paired it with a Voo Doo American Stout. The pairing was effortless, using the standard password 0000 (an obscure bluetooth reference that I found funny, but then I am easily amused). You may be familiar with Connecticut wrappers, but less familiar with references to the Colorado wrapper. The Casa Magna Colorado is named for the color of its wrapper, Colorado being the term used to describe a cigar with a reddish brown shading of the tobacco leaf. I like this stick! Construction, cut and draw were perfect. There were no strong flavors upon lighting, other than a pleasant taste of tobacco, yielding copious amounts of blue smoke. 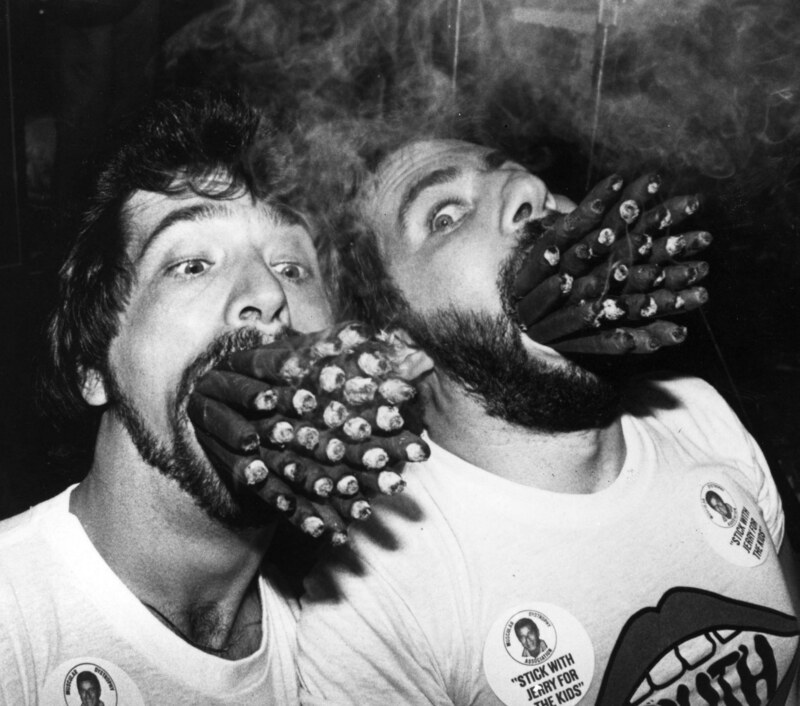 Not every cigar needs to be a cacophony of tastes. I should have guessed this was a Nicaraguan puro; one of my consistent favorites. This puro is made from Nicaraguan grown tobacco harvested from the Esteli and Jalapa growing regions. At the half-way point, still no distinctive notes beyond a little spice, but I am really enjoying this cigar with the stout. The stout was a good choice (dumb luck), because this is a full-bodied cigar, and needs a strong beer to keep up with it. A lager would have been lost. When I reached the final third of the cigar, it took on a new, still indescribable but very good taste. If you’ve never been sure about the sweet spot of a cigar that so many people talk about, this cigar will ably demonstrate the phenomenon. A great cigar, and I will be adding a few of these to the humidor. I give it a 96 on The Morris Scale, and my accolades are echoed by Cigar Aficionado, which rated it the best cigar of 2008. By the way, lest you think I am shilling for those truly magnanimous people at Cigars Direct, even though they provided this cigar, I don’t see it for sale on their site. It can be hard to find due to the recognition by Cigar Aficionado (and now Beer, Bikes and Butts). 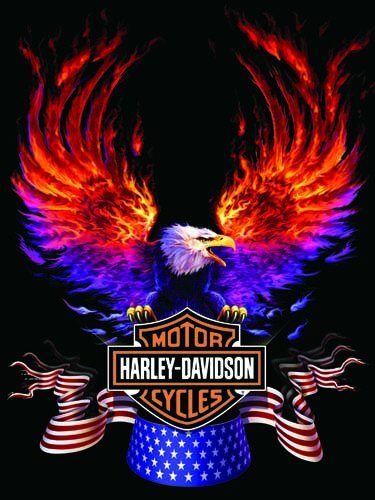 On other sites, the going price seems to be around $6. An amazing value for such a good cigar. 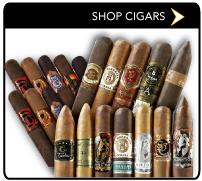 [UPDATE – May 13, 2011] A search for “Colorado” on the Cigars Direct website yielded no results, and that’s why I thought they were out. But I dug a little deeper and found them, but missing the Colorado moniker. This is a real find, because by failing to properly identify them they have maintained a supply, unlike other sites I checked. I immediately ordered a 5-pack. [Update – September 12, 1012] Check out The Cigar Sasquatch for an interesting review of the Casa Magna Colorado, including a philosophical discussion of what make makes a great cigar. The beer pours almost black, with only a slight tan head. With my first sip, I was prepared not to like this beer because the aftertaste was not pleasant. But my palate must have adjusted, because thereafter it was smooth sailing. A very nice caramel taste with no undue bitterness. Very creamy mouthfeel. It’s a thick, heavy beer, but not so much as to destroy the drinkability. 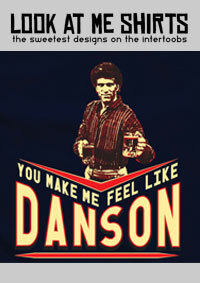 This would be a very good change up among a few beers. I give this beer, crafted by Left Coast Brewing Company in San Clemente, California, a 91 on The Morris Scale. A very good pairing indeed. I know music after 1985. I’ll have you know I’m listening to World Gone Crazy by the Doobie Brothers right now, which came out in 2010. Great album, by the way. It’s nice to hear that there is a good stout review in here. Personally I really love stouts and porters, so seeing a good review it makes me want to try them like: “right here, right now.” But I’m sorry If I’m not going to give you a feed back about the cigar. Well it’s not I won’t, but I can’t, since I don’t smoke haha. Back to the stout. 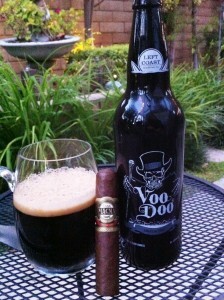 Where can I buy this one this Voo Doo American Stout? It seems like it’s just a local to me. Can I get it elsewhere? Thank you very much for the good share!